Here is a question for any reader who is a lifelong Catholic younger than 50: Have you ever heard a homily preached against the evil of contraception? My guess is that you have not. I know that I never have in the fifty-three years since I came into the Church. Yet artificial contraception, also known as family planning or birth control but which might better be called life prevention, was condemned in a papal encyclical, Humanae vitae, published on July 29, 1968. What happened? With surveys for decades showing Catholics in the U.S. to be practicing life prevention at least at as great a rate as non-Catholics, how is it that Humanae vitae might as well never have been published? I can tell you. I do so from my memory of events as I and colleagues at Triumph, a Catholic monthly magazine based in Washington, D.C., reported them at the time. The first thing to know is that a commission had been set up by Pope John XXIII and enlarged by Pope Paul VI to study the question of contraception in light of development of the Pill earlier in the sixties. In late spring word was leaked to the press that the majority of the commission favored approval of the new means of life prevention. By the end of July the real question was whether Pope Paul would go against the majority view of his own commission. As every good American knows, the majority is supposed to rule. We didn’t believe that at Triumph, not when it came to matters of morality. As soon as news of Humanae vitae reached us, we hung a hand-lettered sign from the K Street windows of our office. HABEMUS PAPAM, it said. A wire-service photographer took a picture of the sign that ran in a number of big-city newspapers around the country. I don’t now remember the exact words of the wire-service caption that went with the photo, but the gist was: Unbelievably, there are some Catholics who actually favor the pope’s unpopular and undemocratic edict. Of course this dissent was welcome to an untold number of couples who had taken to using the Pill when it became available. That would not matter if swift action had been taken to discipline the priests and to squash their dissent. Washington’s Archbishop Patrick Cardinal O’Boyle tried. He suspended the faculties of the priests and ordered the dismissal from the university of Fr. Curran unless he recanted. Thereupon students and other CUA professors called for a strike to protest the Cardinal’s “violation” of Curran’s “academic freedom.” The Cardinal then ordered a lock-out, effectively shutting down the university. At the same time, as ex-officio president of the university’s board of trustees he called for an emergency meeting of the board, which consisted entirely of bishops. It was a wrong move. Except for O’Boyle himself the board voted unanimously to end the lock-out and let Curran continue to teach. Catholics who cared about the welfare of the institutional Church and safeguard of her teaching now held their breath. Clearly, nothing would save the situation at this point, which is to say, save the Catholic character of what was, after all, the pontifical university in the United States, except action by Rome. We never learned at Triumph how desperately, or even if, Cardinal O’Boyle sought support from Rome, but he certainly hoped action was forthcoming. It wasn’t. Nothing was heard from Rome except resounding silence. To be sure, events at CUA weren’t unique. Rome also faced dissent from the encyclical in Canada and several Western European countries, including from some leading prelates. It remains, with the rug pulled from under him by his brother bishops followed by silence from Rome, Cardinal O’Boyle threw in the towel. Classes resumed at CUA and Curran would remain ensconced in the faculty for a number of more years. And Catholic couples on the Pill felt free to stage their own dissent by continuing their practice of life prevention. They might still have been diverted from their sin except for what came out of the annual meeting of the U.S. bishops in November, 1968. It was their last annual meeting conducted behind closed doors. 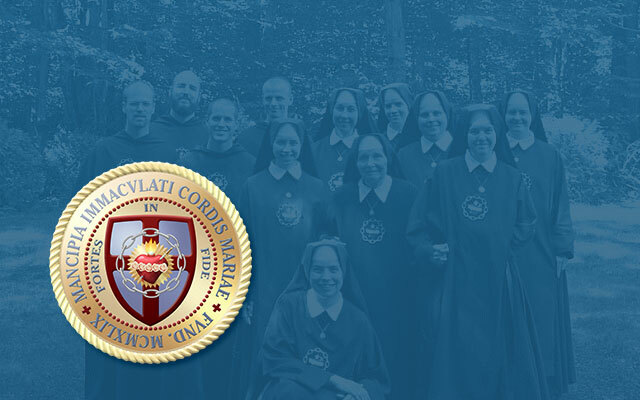 It was also covered by an unusually large number of reporters because the main business of the meeting was the discussion, preparation and publication of their official response to Humanae vitae. Since the meeting was closed to reporters, we were briefed after each session. The spokesman briefing us was an auxiliary bishop of Minneapolis-St. Paul named James Shannon. He did a fabulous job, especially at ingratiating himself with reporters from the top secular media. The result: TIME magazine put him on its cover as the very model of how a modern Catholic bishop should be. As for the bishops’ official collegial response to Pope Paul’s encyclical, they hailed it for expressing an “ideal” but basically took the line that the public had first heard months before: whether or not a couple fulfilled the “ideal” was really up to what their conscience “told” them to do. Seeing his authoritative teaching ignored, Pope Paul did not venture to issue another encyclical on any subject during the remaining ten years of his pontificate, and that is understandable. Nothing, not even open defiance, is more hurtful to authority than ignoring it. Defiance at least recognizes that it exists. The lasting damage from the aftermath of Humanae vitae was the subsequent rise of the “cafeteria Catholic” who thinks he may choose which Church teachings he will accept according to what his conscience “tells” him, and still remain fully Catholic. He does not realize the teachings are of a piece, a truly seamless garment. Start pulling on one thread, the whole thing begins to unravel. It may still hang from our shoulders, but will be misshapen and not provide the cover needed through life in order to reach the end God wishes for all of us: eternity in His presence.